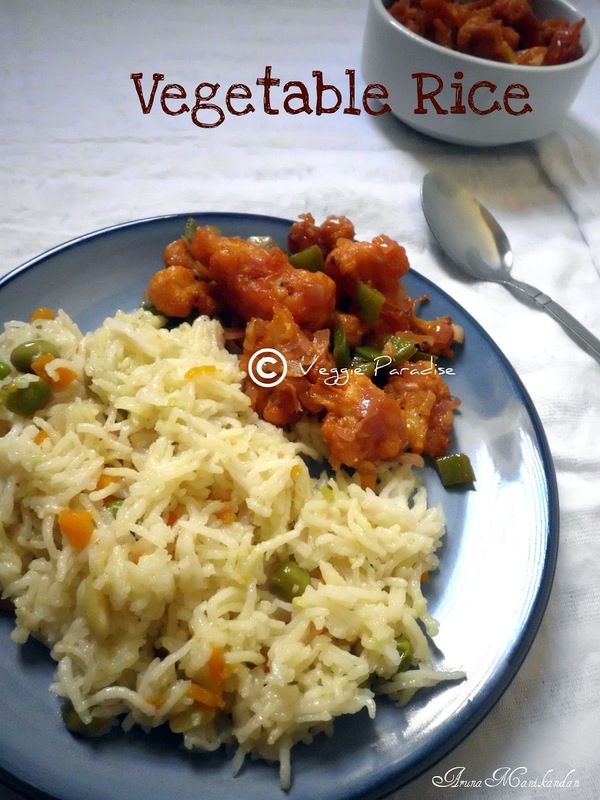 Vegetable rice - This is a simple sounding,healthy and nutritious recipe. The rice can be cooked with variety of vegetables as per your choice. Enjoy this rice with gobi chilli for a perfect Lunch. Heat oil in a heavy bottomed pan ,fry the cumin seeds along with the whole spices and bay leaf for a couple of mins until you get a wonderful aroma. Stir in the green chillies and fry for a min. Add the onions and fry until they turn golden brown, stir in the ginger-garlic paste. When the raw smell of the ginger-garlic paste goes off, tip in the vegetables and fry for a couple of min. Add 2 cups of water along with salt and bring it to boil. Add the rice , give it a good stir,cover and cook in low flame until the rice is fluffy and dry. Remove from the heat and serve hot . Tasty and yum... whenever I run out of ideas, I end up cooking this. Simple and healthy lunch box idea..
All time favorite. Looks yummy. wow this is great simple n easy! Yummy combination, I love this kind of food. So healthy and looks awesome! That meal looks scrumptious. I love the look of the side-dish as well. Very tempting and nicely presented dish. Nice combination and all time favourite food. This can be had with just about anything! 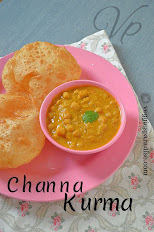 A very delicious and comforting dish. Lovely pulao. 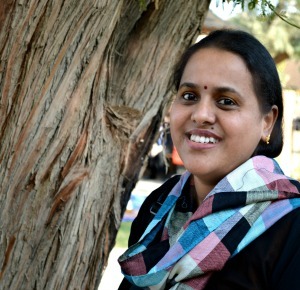 Nice clicks too. Delicious n healthy vegetable rice. 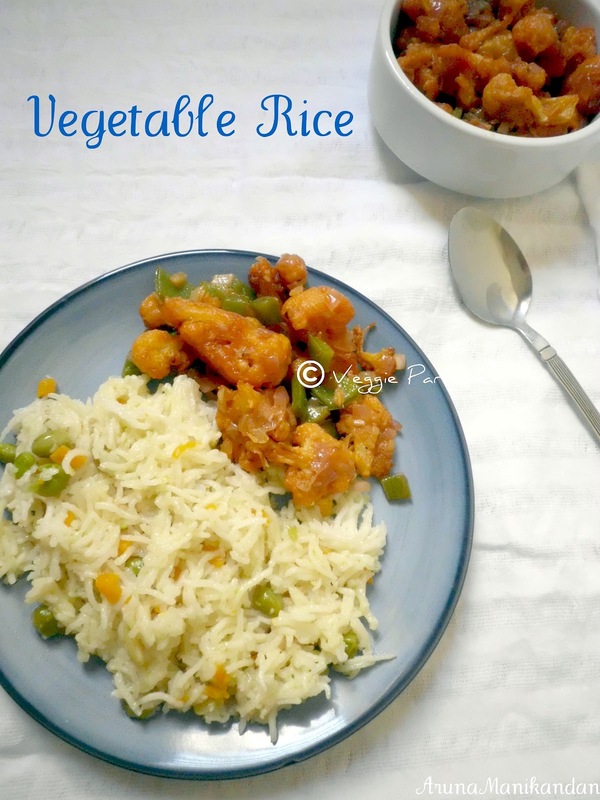 Simple, easy and tasty rice dish!